How strong is the democratic integrity of UK elections? Are turnout, candidacies and participation maximised? 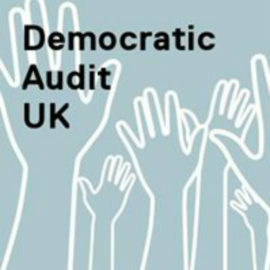 The Democratic Audit is a long established project which has provided regular Audits of the quality of democracy in the UK. Originally set up in 1991 by the Joseph Rowntree Charitable Trust through two partners – Charter88 and the Human Rights Centre at the University of Essex – it was always a source of inspiration to me as an undergraduate student studying at the end of the 1990s (I’m showing my age). I even tried to set up a student version of Charter 88 – getting fellow University of York students to sign the Charter. The concept of the democratic audit spread to other countries through International IDEA. It’s therefore a great honour to be able to contribute towards the 2017 Audit. Here is my assessment of the quality of elections in the UK. Looking forward to learning lots about Malawi!